8a - Soil Prep & Fertilizing - Perelandra Ltd. 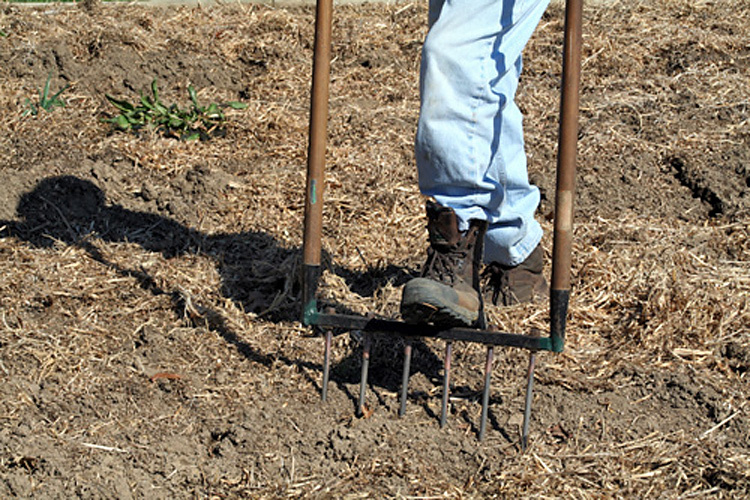 The health of your soil is as important as the plants you put in it. 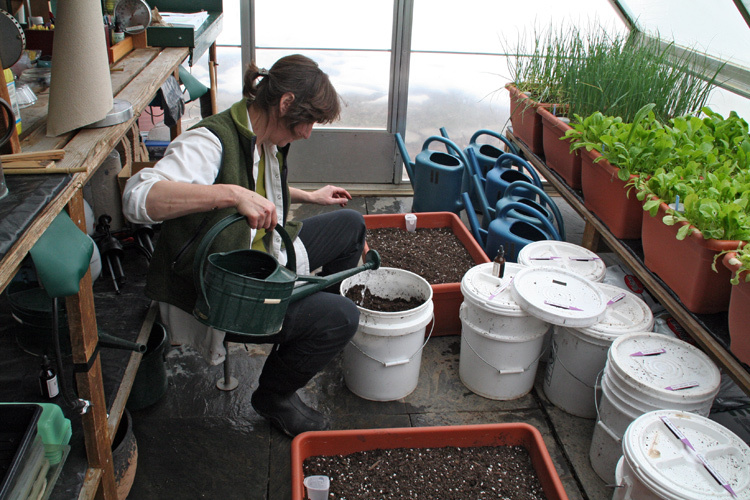 From the greenhouse to the ground, nature can help you strengthen your soil. 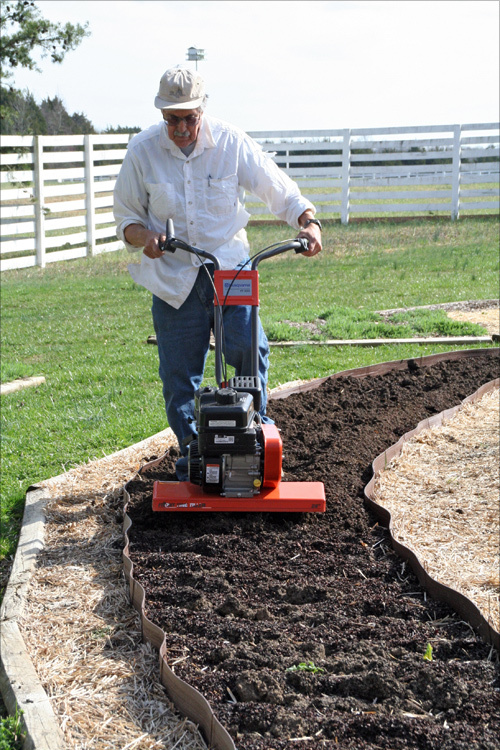 Soil preparation might include aerating . . .
. . . and perhaps tilling. Even you don't have a machine, there are other ways to work the soil. Nature will work with what you have available and your physical capabilities. So don't shy away from asking these questions.